This business centre, in a tranquil setting close to Harrogate, offers adaptable office space with parking spaces available, 24-hour access, security, high speed communication services, access to a meeting room and kitchen facilities and outdoor seating areas. The offices are available on flexible leases. The centre is also close to the lovely towns of Ripon and Knaresborough and is easily accessible via the A1. Based in Harrogate, this modern centre offers a great workspace with a wealth of amenities. The building's modern interior contrasts nicely with its traditional setting and the centre offers a rate that includes furniture, telephones and internet. The centre's dedicated onsite management team are on hand to help ease the transition into your new work space. The centre is also just a 15-minute walk from Harrogate train station. Suitable for a wide range of businesses and located on the outskirts of Harrogate town centre, this business centre provides a choice of 40 offices that can be rented either furnished or unfurnished depending on requirements. IT and telecoms ready. 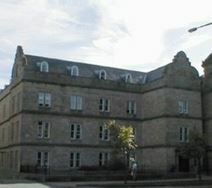 A large Harrogate business centre provides high quality furnished office accommodation. Flexible, with facilities including telephony and broadband systems and ample free parking. A purpose built building offices a range of office suites in Harrogate town centre. Largely open plan with a small number of separate rooms, suites are fully equipped with air con, kitchen and bathroom facilities and on-site allocated parking. Harrogate town centre offers a wide variety of local amenities and shopping options.